Both teachers and administrators have different interpretations as to what is meant by “large class”. As there is no consensus on the definition to what constitutes a large class, we generally believe that large classes are those with a specific number of students that teachers need greater efforts to handle, which the effectiveness of learning and teaching is being questioned (Bahanshal, 2013). Large class size may be the result of many factors, including limited resources and unexpected high enrolment. No matter what the cause is, teaching large classes has been a common teaching practice in tertiary institutions. Although many studies specifically stress the issues and problems raised by the increase in number of students and class size, it is more about instructional design rather than class size which determines the effectiveness of learning and teaching (McKeachie, 1990). By employing proper teaching strategies, teaching a large class may not be any less effective than a small class in the same context. The following strategies may help you to keep your students engaged in a large class. The duration of a class could be three hours or longer, but students’ attention spans may be fairly short. Some studies show that it may be difficult for students to concentrate for over 15 minutes in a lecture (Briggs, 2014). Hence, teachers could engage students in active learning activities in lectures, which may include brainstorming, class discussion, role-play and student presentation. Besides asking questions to students, teachers could ask students to provide questions related to class content. 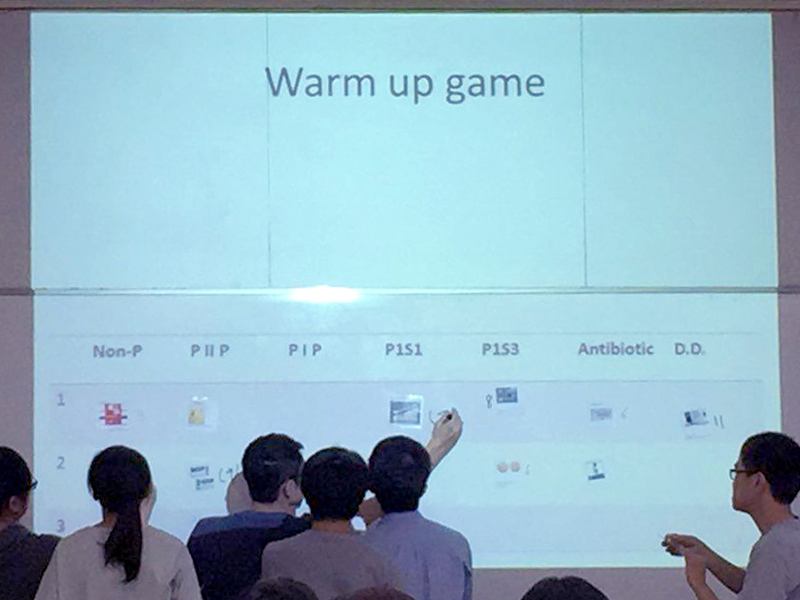 Meanwhile, dividing the lecture into segments could allow a shift of focus and recapture students’ attention. 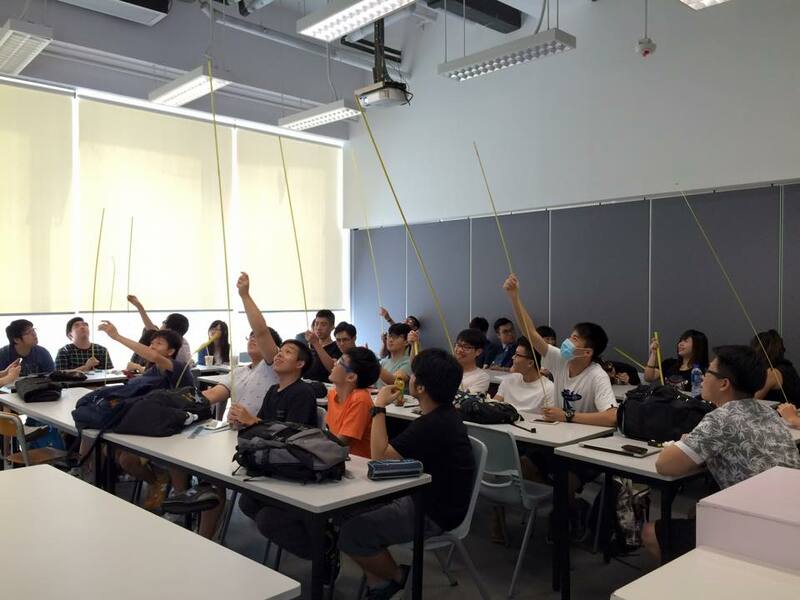 Actively participating in a lecture, the students try to find out the height of the ceiling with a measuring tape in an interior design class. It has been said that concepts or ideas come in a number of three are more interesting, more appealing and more memorable. When delivering substantial amounts of information and concepts to students in a large class, teachers may structure the information and concepts into threes. For example, teachers could use lists of three when presenting ideas in PowerPoint slides and handouts. Moreover, teachers could wrap or summarise the class by presenting three key information of the class content. One of the dissatisfactions among students with large class learning is the feeling of anonymity in class. This may result in poor student engagement and low motivation. Hence, helping students establish relationships with other students in class early on is important. Once a warm and friendly learning environment is formed, students would feel comfortable to participate in class. With the advancement of technology, classroom learning has gone beyond the classic chalk and talk. The use of multimedia and video capture system not only arouse students’ interests, but also sustain engagement and enrich learning experiences. In the setting of large class teaching, technology enables a flexible learning and teaching experience to both teachers and students, since course materials, reference materials, demonstration video clips and practice assessment could be made available online or on mobile apps for students to access anytime they prefer. Moreover, Dale’s (1969) “Cone of Experience” suggested that most people retain information better when they both hear and see it. Employing visual aids does not necessary mean elaborating PowerPoint presentation on colourful slides and typeface only; it also refers to the use of diagrams, charts, storyboards, images and physical props. The incorporation of visual aids assists students in understanding the information and knowledge. It also makes the class more interesting. Students are interested in the matching games about pharmaceutical products and registration. Teaching a large class usually means teaching a class of students with a wide spectrum of learning curves and backgrounds. It could be challenging to teachers. Therefore, it is recommended that teachers should apply multiple teaching methods to engage students and foster a student-centred learning environment. Dale, E. (1969). Audio-visual methods in teaching, 3rd ed. New York: Holt, Rinehart, and Winston. McKeachie, W.J. (1990). Research on college teaching: The historical background. Journal of Educational Psychology, 82(2), 189-200.